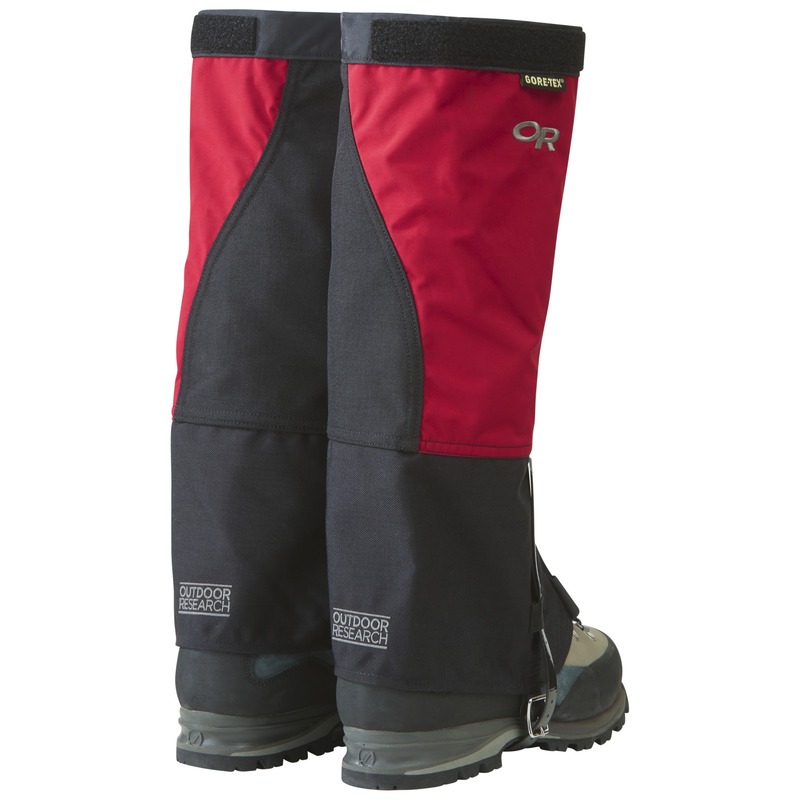 Similar to our popular “Crocs” but featuring even thicker skin, our burliest gaiters are designed for extended mountaineering trips in extreme conditions. 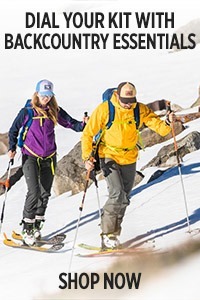 The large circumference is roomy enough for plastic mountaineering boots and heavily insulated pants, and the durable Cordura® inner leg prevents crampon snagging and puncturing when you’re high in the mountains. 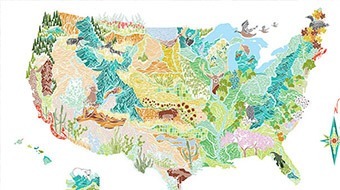 I'm currently working in the interior of Alaska. I used the size cart to purchase these. Great product but they run large. 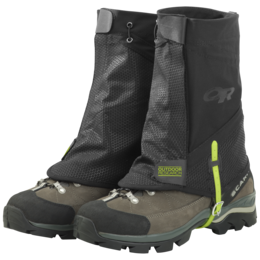 First impression is of how extremely durable they are built but that is coupled with a fear of how long it will take to break in. Considering how stiff and rigid these felt out of the box I could not believe how well they fell into shape once I put it on. I have yet to test the waterproofing. 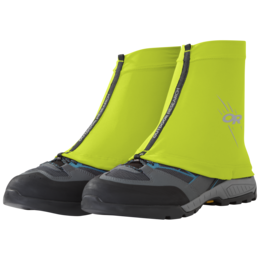 I no worries that these will survive abuse from crampons, sharp rocks, etc. 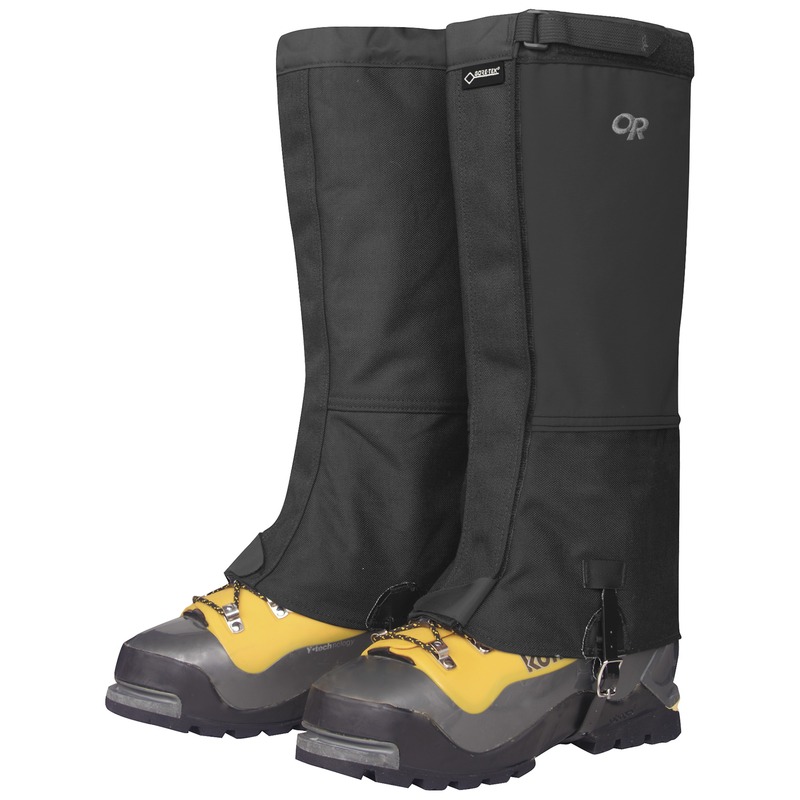 Excellent heavy-duty gaiters. 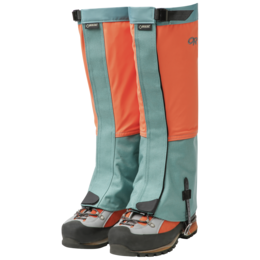 These fit better over my mountaineering boots than the regular Crocs or the Verglas gaiters (both excellent). 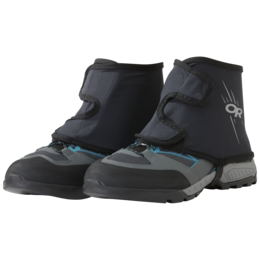 However note that these would be too big for regular winter boots, these should be considered strictly for mountaineering boots only. I've only used this a few times so far, but I have not yet managed to make a hold in them with crampons. 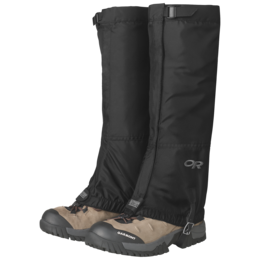 It will probably happen eventually, but the extended coverage with 1,000 denier cordura on the full inside leg should take more abuse than other gaiters. 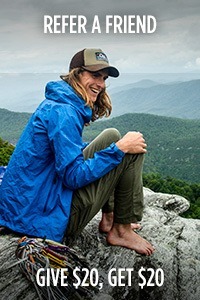 On my last climbing trip I snagged a crampon at least once (though not badly) on the gaiter and it barely left a mark. 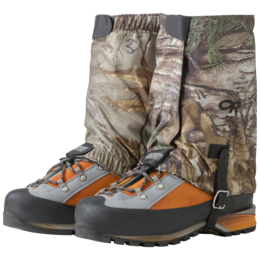 I wear these gaiters snow shoeing and hiking. They work great work, love them so far. 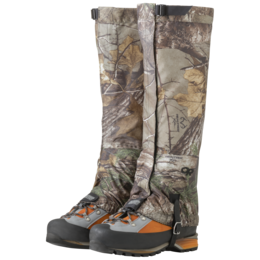 When logging miles in rugged terrain these are my go to gaiter. They are the toughest I've found to date. They aren't indestructible - but as close as you'll find. 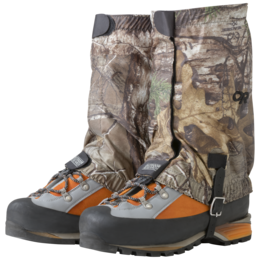 The underfoot strap wears and will break. 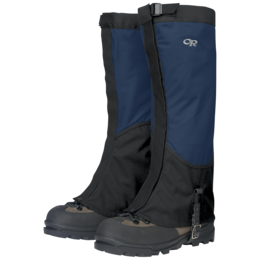 The buckles will tear from the reinforcement patch which they are attached to the gaiter and the seams and gaiter bottoms will fray from prolonged use - but other gaiters put through the same conditions would fare far worse. 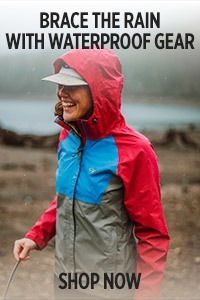 Outstanding product for off trail and overgrown trails. 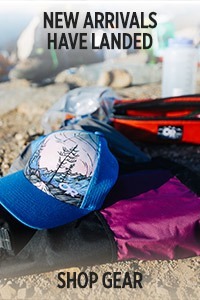 Material is very durable and breathable. 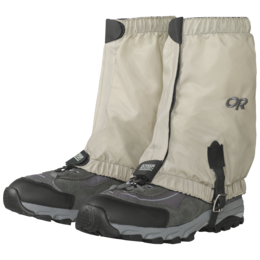 Great protection for my boots and legs/pants during search and rescue missions and personal adventures. 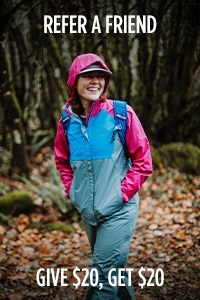 Heavy duty, perfect for the treeplanting season! 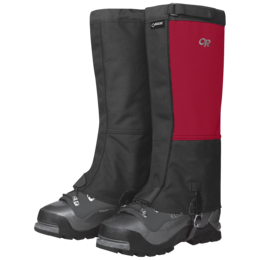 Most durable gaiters I've used! 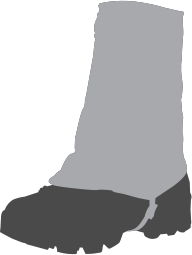 I wear a size 13 boot. I noticed that its right on the edge or the XL sizing so should I go with a XXL? 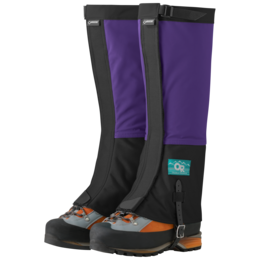 Tyler, the expedition crocodile are designed with a larger bottom opening to accommodate a full mountaineering boot or ski boot, if you are on the edge of sizing I would default to the smaller size so that you don't have a gaiter that is far to big on the top. 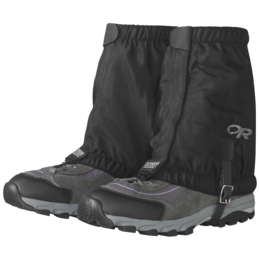 When it comes to sizes for Gaiters (men's)...it says to refer to shoe-size. Is this the only part of the gaiter (I'm assuming the strap?) that would make the difference between the sizes? 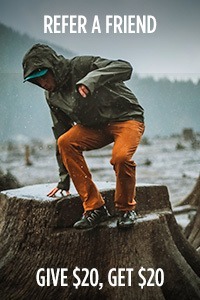 You should get the Expedition Crocodiles in XL.